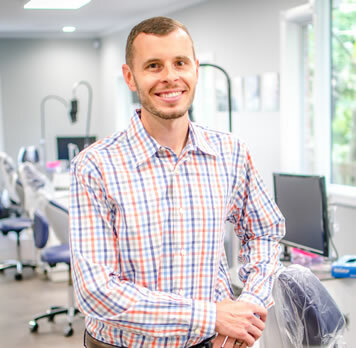 Dr. Paul Ellis is dedicated to changing the way people feel about their smiles. People want to be able to smile and be proud of it, and Dr. Ellis feels honored to have the opportunity to help them achieve that goal. He loves seeing his patients’ progress throughout treatment, especially on that wonderful day when their new smiles are revealed. A member of the East and South Side Study Clubs, Dr. Ellis meets with general dentists, oral surgeons, endodontists, periodontists, and prosthodontists in order to discuss the best ways to work together and achieve the best possible care for patients. This emphasis on inter-disciplinary cooperation highlights Dr. Ellis’ commitment to staying on the cutting-edge of dentistry and orthodontics. In addition to his involvement in study clubs, Dr. Ellis is an active member of several professional organizations that also provide opportunities for educational advancement. They include the American Dental Association, the American Association of Orthodontists, and the Great Lakes Association of Orthodontists. Dr. Ellis has lived in Franklin Township for his entire life. He is excited to practice orthodontics and raise his family in this wonderful community. 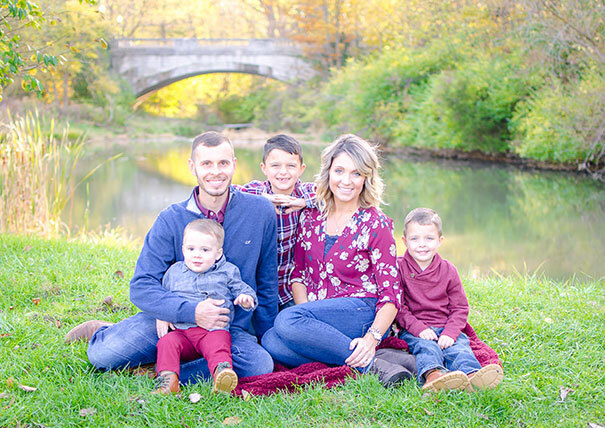 Dr. Ellis and his wife, Ashley, have three children, Andrew, Grant, and Carter. When he’s not spending his free time with his family, Dr. Ellis enjoys being active in his church, fishing, and playing golf.